A Motorcycle Jacket that looks like a battle suit created by Fox Racing. The jacket is wisely designed, easy to wear and adjustable to be perfectly fit the body of the wearer. Its full mesh main body provides accurate, bunch-free fit to move in. A center zipper helps you to easily put on and take off the jacket. 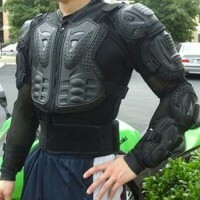 It has plastic solid plating that covers the chest, back, shoulders and arms. With the intelligently engineered ventilation zones, this jacket becomes the ultimate battle suit. It is a good choice to use in motorcycling, mountain/off-road biking and long way high speed riding. Pros: Convenient and safe. The plastic padding is adjustable that makes it fit to the body and its solid plating provides protection for the key contact areas. It’s built with ventilation zones, to manage air flow that makes more comfort during the ride. Also, the look appearance of the jacket is designed to be neat and clean that approaching to the eye. Cons: The jacket is firmly fit to the body that during summer rides, sometimes it may heat your body that makes you sweat. 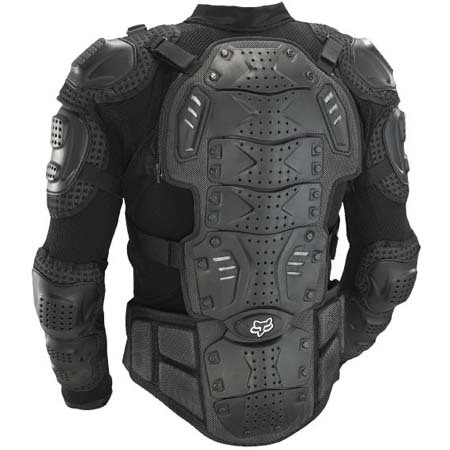 The FOX Titan Sport Jacket is a full-body motorcycle armor and at the same time a motorcycle jacket. 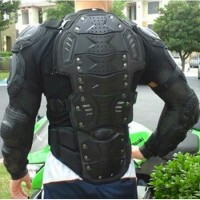 It is a CE certified jacket that delivers full-body protection for the rider’s body, chest, back, shoulders and arms. It sets a new standard for comfortable protection with complete plastic plating to protect key contact areas. It is designed to be fully body fit for easy moving in and having ventilation areas that manages air flow to provide great comfort during the long way ride. The Jacket is available in all sizes from S to XXL, the color were matched to be grayish black that suited for any kinds and types of motorcycle. 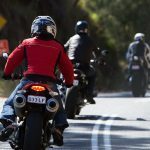 Intelligently engineered ventilation zones that provide comfort to the rider’s body during the long way ride. 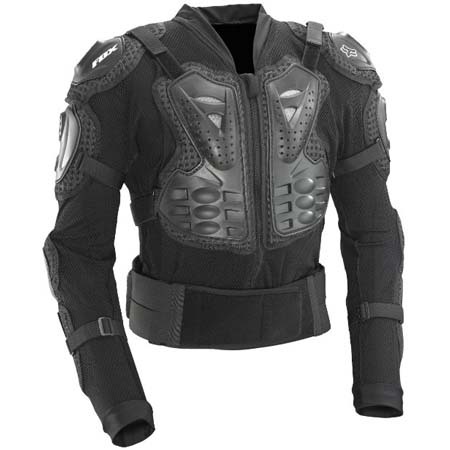 The Titan Sport Jacket from FOX Racing is one of the best protective gears in motorcycling and it is now popular both in the streets, consumers, bikers and market. It is well designed that comfortably fit your body for easy-freely to move in. By its appearance, the jacket looks neat that you can free to wear inside the mall. The plastic padding is made by high quality materials that make it solid and stronger that provide protection for the key contact areas of our body. 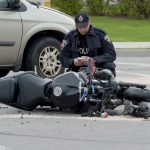 This jacket is totally a life saver many riders that wears it saved their life from accidents.